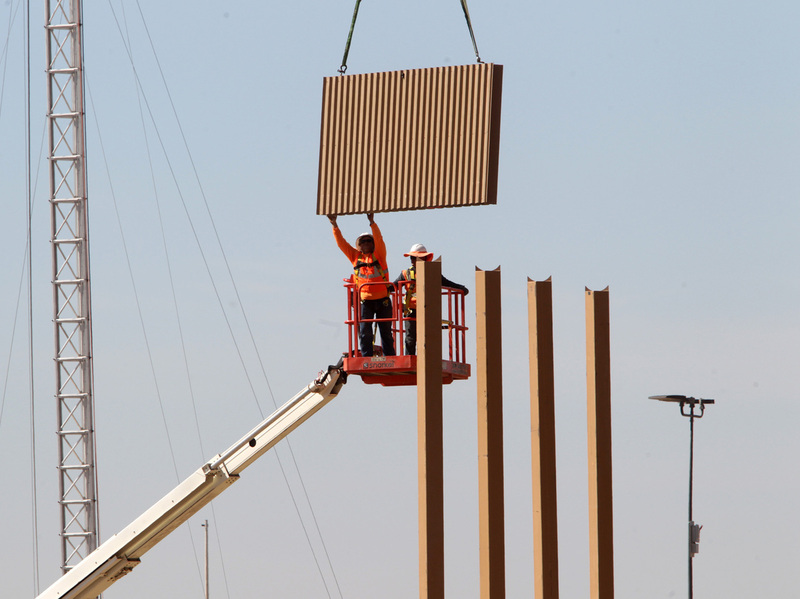 30-Foot Border Wall Prototypes Erected In San Diego Borderlands While the mockups are massive, it's anybody's guess whether they'll ever get built. Crews work at the construction site of prototypes for President Trump's border wall in San Diego County. 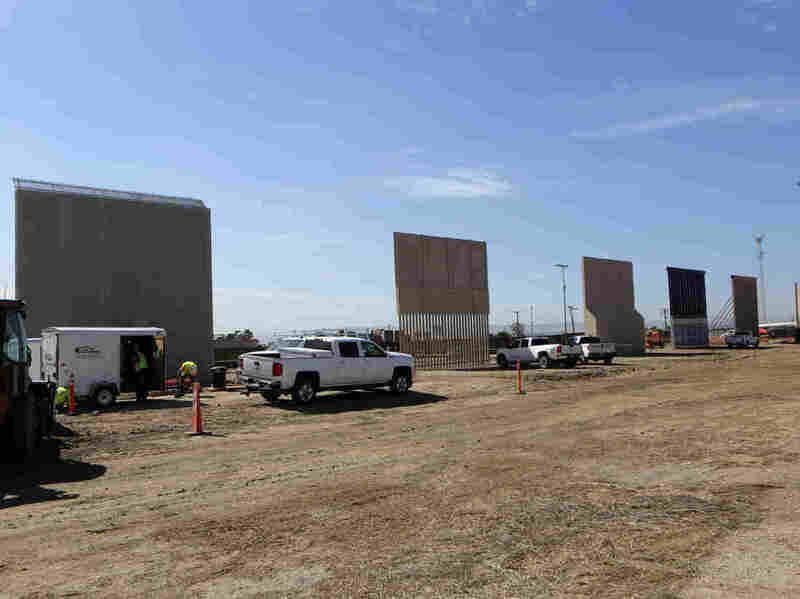 Construction crews are erecting eight looming prototypes of President Trump's border wall in a remote section of the San Diego borderlands. Four are solid concrete; four are made of steel and concrete; one is topped with spikes. They all approach 30 feet in height. Customs and Border Protection is paying $20 million to six construction companies from Mississippi, Maryland, Alabama, Texas and Arizona. Crews in white hardhats operating cranes and forklifts are expected to complete the models by the end of the month. Once the sections of wall are finished, CBP — parent agency of the Border Patrol — will evaluate them for three criteria. "We want a better barrier. One that is hard to scale, hard to penetrate and hard to tunnel under," says Roy Villareal, chief of the San Diego Border Patrol sector. "We're hoping innovation from private industry combined with our experience generates the next evolution of border security infrastructure," he continues. Aurelia Rodriguez and her daughter Melanie stand in a structure in Tijuana, Mexico, with a view of border wall prototypes under construction. About a half-dozen undocumented immigrants have been apprehended in the middle of the construction since the concrete slabs started going up. Most of them hopped over the 10-foot, Vietnam-era landing mats that currently serve as the primary border fence. The Border Patrol says, typically, it picks up about 70 illegal crossers in the entire San Diego sector every day. While the mockups are massive, it's anybody's guess whether they'll ever get built. Trump's border wall is opposed by congressional Democrats and some Republicans, as well as most of California's and San Diego's leadership. But they're certainly getting lots of press. Every day, border agents in crisp green uniforms shuttle in news crews from as far away as the Czech Republic and the Netherlands to shoot video of the busy construction site just east of the Otay Mesa port of entry. The backdrops: south of the prototypes is a dusty Tijuana industrial zone; to the north are the rugged Otay Mountains. Competitors who are hoping to gain approval to build the border wall have until the end of the month to complete their work. "The real issue with building a border wall is what the Congress does, not what the contractors do ... The price tag on this is enormous," says Doris Meissner, a former immigration commissioner and now a senior fellow at the nonpartisan Migration Policy Institute. Moreover, with apprehensions of illegal crossers on the Southwest border at their lowest level in more than a decade, Congress may not feel the urgency to fortify the border. 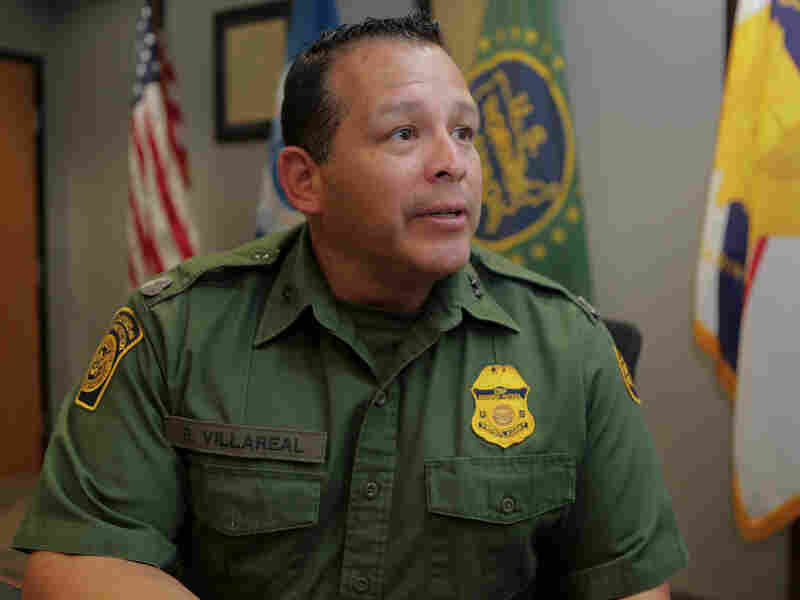 "As apprehensions continue to decline, it does become tougher to get the funding approval," says Victor Monjarrez, a former Border Patrol sector chief in Tucson, and currently associate director of the Center for Law and Human Behavior at the University of Texas at El Paso. CBP expected the prototypes to spark big protests similar to the crowds that massed at the Standing Rock Sioux reservation in North Dakota last year decrying the pipeline. Officials even set aside a "free speech zone" and planned contingencies if trouble broke out. But since construction began three weeks ago, there have been no demonstrators. "We knew this was political theater (from the Trump administration) and we're not going to respond," says Christian Ramirez, director of the Southern Border Communities Coalition in San Diego. "This is much ado about nothing." 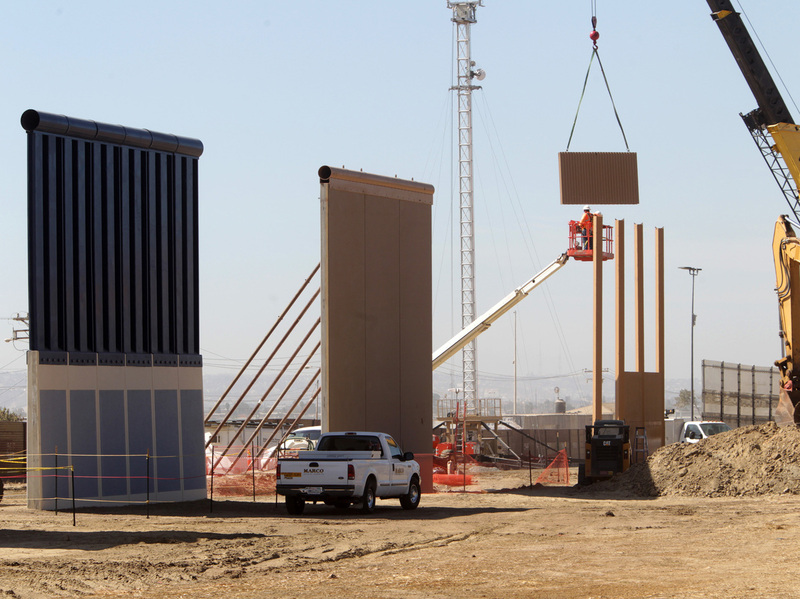 He says the much photographed prototypes represent "a guise that a border wall is being built" to please Trump supporters who chanted "Build the wall!" during the campaign. On Tuesday, the president tweeted, "BORDER WALL prototypes underway!" above pictures of the massive sand-colored barriers. Sector Chief Roy Villareal declines to predict the future of the prototypes, or say whether they are, in fact, a model for a wall to be ultimately constructed somewhere along the southern frontier. "Part of the intent of the prototypes is to influence the ultimate design of new border fencing," he says. "[The final design] may well not be what you witnessed this morning." The administration has asked Congress for $1.6 billion for 74 miles of new border wall — most of it in south Texas. The request is pending as Congress considers larger border security and immigration legislation. Over in Tijuana, Mexicans who live close to the international fenceline have mixed opinions regarding the concrete slabs rising on the other side. 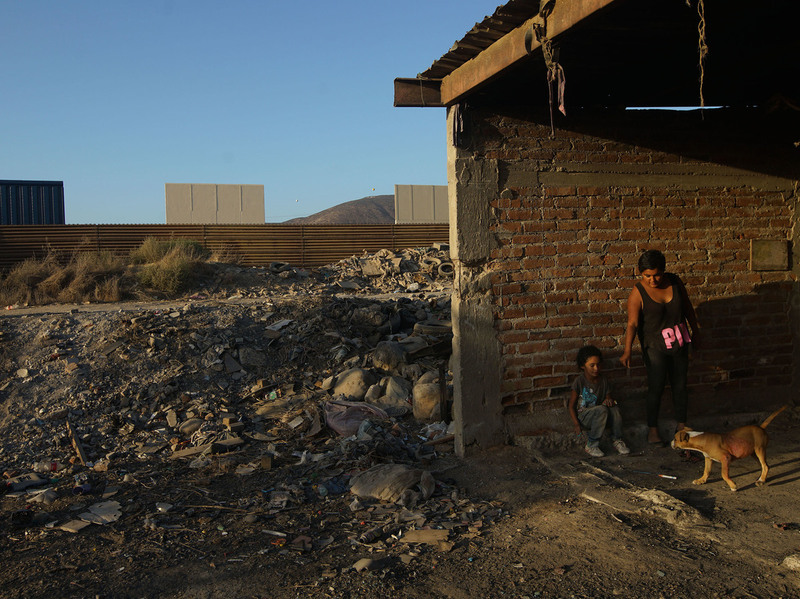 "From the size of the wall they're building, they don't even want the wind to blow from there to over here," says Jose Avila Rodriguez, who runs a ramshackle recycling business in a dusty industrial district that faces the border. His wife, Juana, who is filling a large bag full of plastic bottles, has a different take. "I don't think the new wall will deter people," she says. "How many years have they been crossing to the other side?"